Persons with rare diseases have few resources for medical treatment in BiH. There are no specialists for their disease nor adequate drugs and supplements. Their treatment depends on finances at their disposal and their own resourcefulness. Twelve-year old Katarina Gojić and her sister Anđela, a year and a half younger, from Doboj take kilograms of the medicine Genistein. It holds off mucopolysaccharidosis, the rare disease they share that makes it hard for the girls to swallow, talk and walk. Their mother Vladanka buys the medicine from Poland. She spends around 30,000 KM a year on it now but as the girls grow, they will need bigger doses and her costs will increase. 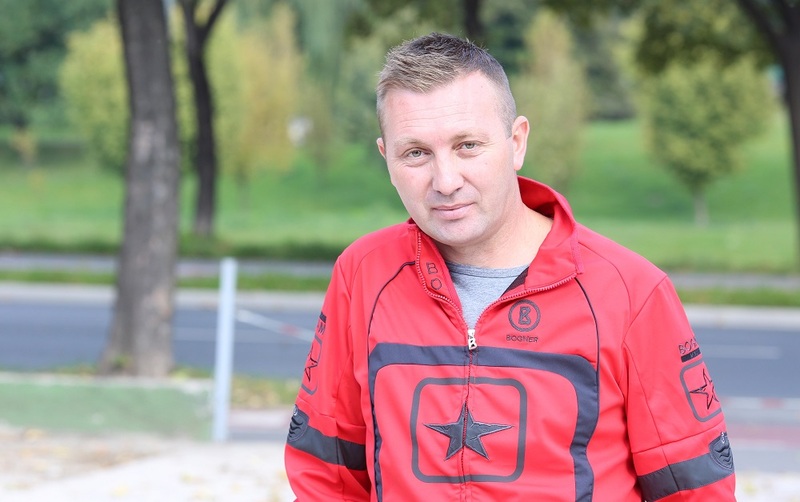 Health insurance does not cover the expense, so Gojić seeks donations. “Every day I think up a new way how to help them, how to prolong their life for another day,” says Gojić. Data from various associations of rare disease sufferers show that Gojić is one of at least 40 mothers coping with the fundraising for their children’s health. Exactly how many mothers are out there is unknown. Officials from the entity ministries of health said that Bosnia and Herzegovina (BiH) does not keep a database of people suffering from rare diseases. A strategy that would call for this and other measures is being developed. In the meantime, an investigation by the Center for Investigative Reporting in Sarajevo (CIN) reveals that people suffering from rare diseases are left to fend for themselves. Many pay health contributions, but the state does not meet them halfway. Neither the specialists nor the drugs they need to survive are available. The high costs of treatment and of supplements from abroad are reimbursed only in part and usually late. Families must raise money through donations to close the gap. Katarina and Anđela seemed like healthy babies. But when Katarina was 3, she stopped talking and kept to herself. Doctors thought that she was autistic. However, the mother had qualms about that diagnosis and kept on searching. Three years later, the doctors in Belgrade diagnosed the girl with mucopolysaccharidosis. Around the same time Anđela began showing the same symptoms. In 2010, their mother sent her daughters’ tissue samples to Germany. The final diagnosis turned out to be a rare and the most severe type of the illness – Sanfilippo syndrome, type A.
Gojić then went on to establish an Association of Mucopolysaccharidosis Sufferers in Republika Srpska (RS) through which she’s been raising money for children ever since. She received written statements from the entity ministries of health that there was no possibility for medical treatment of her children either in the Federation of BiH or in the RS. 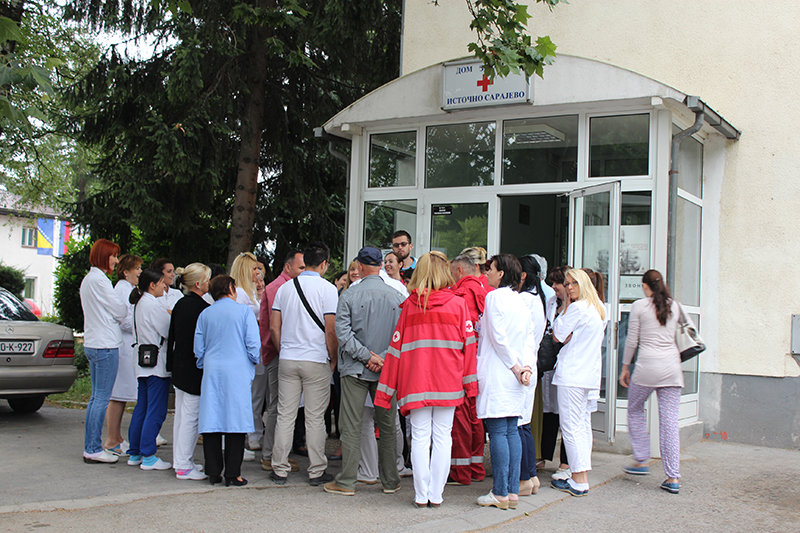 The nearby hospital in Doboj could not answer her questions. “They tell me like this: ‘You know better both your child and the disease then we do,’” said Gojić who holds a B.A. in economics. The officials from St. Apostle Luke Hospital in Doboj said in a written reply to CIN that they cannot discuss the diagnosis and the treatment of rare diseases and that this was a job for specialists in highly specialized centers. “We don’t have the experienced staff who can dedicate themselves to studying rare disease,” read the statement. Even though medically insured, the Gojić girls can get adequate treatment only in a hospital 450 kilometers from their native Dobj in Gratz, Austria. The family learned about it through the Internet. Gojić said four people suffer from mucopolysaccharidosis in BiH, including her daughters. The medical literature states that one child in 100,000 in the world suffers from Sanfilippo Syndrome, type A. The illness is characterized by the deficiency of some enzymes which leads to malfunctioning of internal organs and the deformation of bones and joints. As the disease progresses, the sufferers lose the ability to walk, speak and swallow. Many don’t live longer than 20. Along with Genistein, Gojić buys a gel to make swallowing easier available in Italy or Austria. One bottle that lasts for seven days costs more than 30 KM. The RS Fund for Health Insurance does not cover these costs. 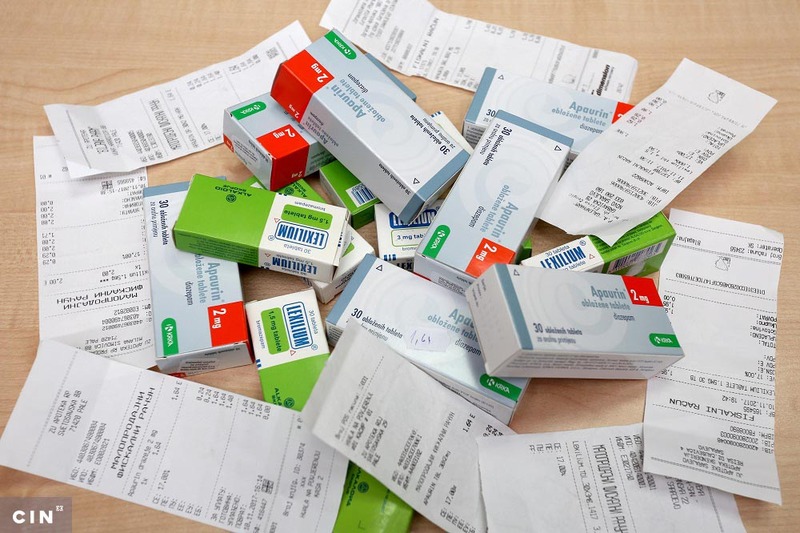 Branislav Lolić, the fund’s director’s aide, said that a medicine bought outside BiH is partly reimbursed when expert commissions conclude that it significantly improves a patient’s quality of life. Lolić said that the sufferers often use some supplements for which there is no medical proof that they help. “Some of the drugs are not reimbursed…from the mandatory insurance funds and there will be no changes,” said Lolić. Katarin and Anđela also need antiepileptic drugs, syrups and food supplements and their mother said that even she can’t tell how much she spends on their medical treatment. She might wait for up to three months to get the reimbursement. Gojić said that it was difficult to explain to someone who had no knowledge of the disease the urgency of some purchases. “Why does my child not have a right to life as any other healthy child? I work; I pay my taxes and contributions. Why doesn’t the state help me out?” wonders Gojić. The RS Fund earmarks around 8 million KM a year for rare diseases. Lolić said that medicines for these diseases are extremely expensive and treating just of 200 patients with such diseases would exhaust the Fund’s whole budget. “We in the fund have finite funds. In order to give someone a new right, we have to take it away from someone else. That is very painful and very difficult,” said Lolić. The fund spends between 500 and 600 million KM a year. 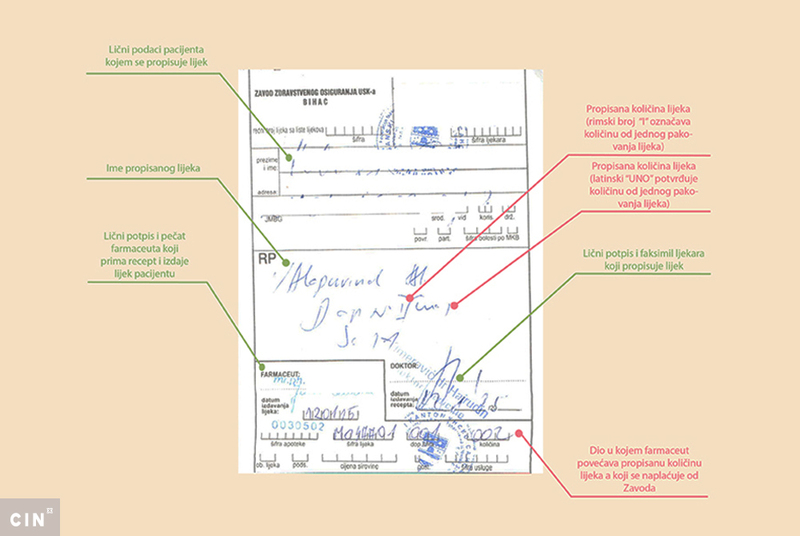 The Cantonal Funds of Health Insurance in FBiH do not keep separate records about the sufferers from rare diseases because that classification does not exist in their protocols. The annual budget of the Health Insurance Fund of Sarajevo Canton amounts to 330 million KM on average. Every year, Nevzeta Kahriman pays almost 4,000 KM from salary in health benefits. She has been practicing family medicine for 27 years. Her son Mirza suffers from Epidermolysis Bullosa (EB), a disease which primarily manifests itself through blisters and internal wounds. The sufferers are known as “butterfly children” because their skin is as sensitive as butterfly wings and they can get hurt taking a bath, brushing their hair or simply being touched. “When you hold his hand when he is about to fall you might pull the skin from his fist as if it were a glove,” said Kahriman. She is president of Debra, the Association of EB Sufferers which lists 25 sufferers. She said that for them the most important things are dressings like a silicone bandage which can last for three or four days at a time. One bandage costs 70 KM, while the health insurance does not cover. 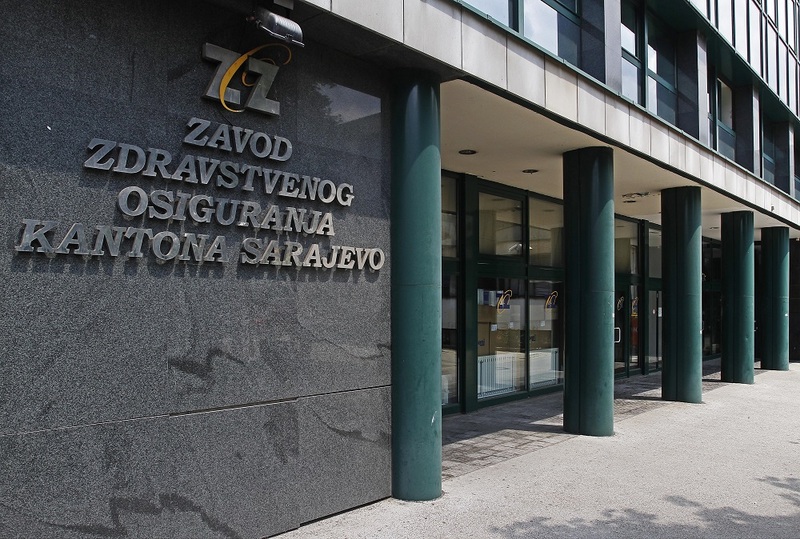 Even after more than a month, the Sarajevo Cantonal Health Fund did not reply to a CIN request on financing of treatment for sufferers of rare diseases. “The point is that the rare diseases are expensive. That is the fact, but they should be entitled to the health protection minimum. However, in Bosnia we don’t have the minimum to which a human being is entitled to,” said Kahriman. The association sometimes gets silicon bandages donated from Spain. Even as a doctor herself, Kahriman said she did not know a thing about EB when she gave birth 26 years ago. It belonged to a group of rare diseases not given much attention in medical school. She left the hospital without any advice from the doctors on what to do. She said that nothing has changed and that a mother has to learn herself how to take care of an affected child. “You won’t have a physician to follow your child. You will have it only inasmuch as a doctor at the clinic might lend his ear to your children and to the extent of his emotions”. Blistered head to toe since birth, her son had many problems with swallowing and has required some 60 procedures to increase the size of his esophageal opening. Tanja Markulj from Sarajevo understands her destiny well: she has been learning about medicine through the medical treatment of her child. Her 11-year-old daughter Tamara is the only person in BiH with a severe epileptic disorder called Dravet Syndrome. Every physical effort or strong sensory input such as faster pace, an increase or decrease of blood temperature, stronger emotions or weather swings can lead to a seizure. Tamara receives 10 doses of anti-epilepsy drugs three times a day. Her mother administers this through a needle, because the girl cannot swallow well. She also needs drugs for allergy, gastric and dermatological problems, for breathing and temperature control. Markulj said that she cannot make an appointment with the family doctor to get a prescription, because she can rarely take her daughter out. She often goes to private doctors and has to buy medicine out of pocket as a consequence. They take a cab when going for a check-up because Tamara can have a seizure from being tired. It took her two months to clear all the paperwork to get a special wheelchair for her daughter. Last December she got an approval for the wheelchair from the Sarajevo Cantonal Health Insurance Fund. It cost 4,160 KM, but the fund wrote to her that it would reimburse her just 1,300 KM. She gave up on the purchase because she did not have the rest of the money. “No one denies a thing to us. This is the smartest country in the world. You have all the rights (on paper), but you have to bend over backwards to make them come true,” she said. Markulj struggles with inadequate medical services as well. She said she had no one to consult. “I treat her myself. Simply, I had to learn how to be attuned to her, her body and no one else,” said Markulj who went to an agricultural high school. According to the European Organization for Rare Diseases, 6,000-8,000 rare diseases affect more than 30 million sufferers in the EU. Some of these diseases afflict no more than one in 2,000 persons. Medicines for rare diseases are known as the-poor-things: they are of such restricted use they cannot be profitable for the pharmaceutical industry. Mensuda Hasanhodžić, a pediatrician and sub-specialist in medical genetics at the University Clinical Center in Tuzla, said that there was not one specialist in the world for all rare diseases and that it was necessary in every field of medicine to find a specialist who would work with rare diseases sufferers. This calls for a commitment, clinical knowledge and well developed diagnostics and that means a lot of investment into space, equipment and experts. “For this reason, rare diseases are mainly expensive precisely because they are rare, because there aren’t many patients so that the investment in diagnostics and the quest for therapy for some of them rarely pays off,” she said. Kahriman said that the state does not encourage doctors in any way, which is why they don’t show much interest in specializing rare diseases. “If I look at it from the point of view of a doctor – I understand. If I look at it from the point of view of a parent – I have zero tolerance for it and it hurts my feelings,” said Kahriman.